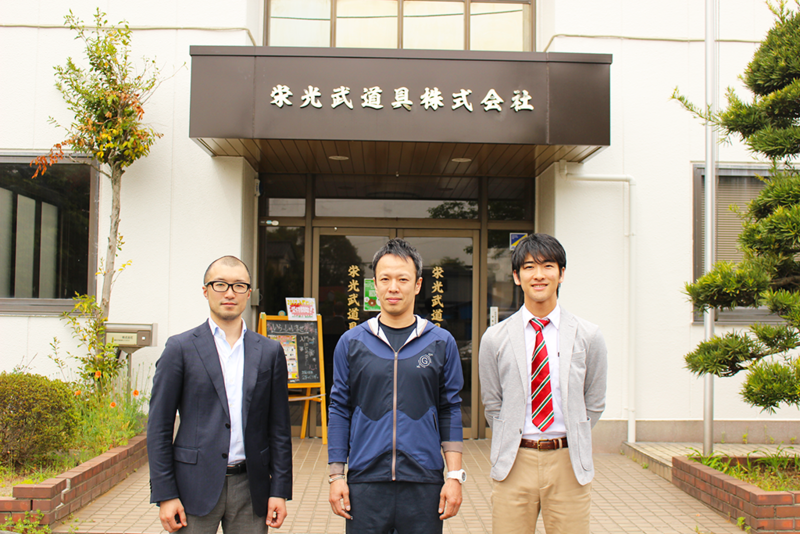 Eikobudogu is a martial arts equipment manufacturing company founded in Kawaguchi city Saitama prefecture in 1992. Originally founded by Madokoro brother's father, the family business has been passed down to his two sons, and the brothers currently run the company together. This time we had the privilege to hear their story of their factory for the first time. In this interview we introduce to you Eikobudogu, revolutionaries and innovators who have produced numerous hit products. —Please tell us about the history of Eikobudogu. —What was the reason or incentive behind manufacturing Kendo equipment as a business? —Did you have any prior experience in manufacturing Kendo equipment in the past? —Did you find it to be quite a struggle when you were just starting out establishing this company? —Your customers have probably been very happy with the price and quality of your products. —When did you start working in management with your company? —Which store was your company’s first location? Madokoro: “My father opened his first store in Kawaguchi city, Saitama prefecture. We only had that one store for about 10 years but later opened 2 more stores in Ueno, which is my father’s hometown. After that we also established an office in Koshigaya city in Saitama as our head office and distribution center, but it now functions as our “Koshigaya Shop” and “Repair Center”. Also our original Kawaguchi shop operates as our “Omiya Ekimae Shop”. —Congratulations on your recent promotion to the Seventh Dan of 2017. —I heard that your company’s president also participated in the seventh stage of the national and prefectural competitions. As employees who actively practice Kendo, do you think your experience in the field helps your product development? Madokoro: “It definitely benefits our customers and improves the experience for our users. Oftentimes our customers ask us questions about the product, and I personally think it is difficult to understand our products and help customers with questions about our products if we ourselves haven’t used them. If we get a question like “what are some good features of this particular armor?” we can only give them the specifications of the product, but we can’t tell them about the experience of the product if we don’t use them ourselves. If we can only give them the specs, they will evidently just choose the cheapest options. We love Kendo and Kendo equipment, so all of our products are dedicated to high quality and ease of use. In addition to the armor, other equipment like the dougi, hakama, shinai-bukuro, and bogu-bukuro are all tested for comfort, which we think is important in the customer’s choices. Our top priority is to talk with the customer at their level and perspective, in order to best understand the customer. —It seems that other companies communicate a lot with Kendo athletes to listen to their concerns about their equipment in order to improve on their products. Madokoro: “Of course we do this as well, in addition to communicating with our fellow Kendo acquaintances. For example, we’ll hear from those people about their hopes and concerns regarding their equipment and armor, but actually figuring out how we can improve it and what we can change is a lot more complicated. While it is pretty easy to improve our product in terms of its ease of use by reducing the volume of the core material in the equipment, and making it lighter, it unfortunately decreases the equipment’s safety, since the protective gear would not have enough padding. Madokoro: “A long time ago there was a nationally famous craftsman named Hiroyohi Saegusa, and when I first saw his armor I was taken back by how heavy his armor seemed. This was 50 years ago, so the armor was especially heavy with a lot of sheet metal which added a lot to its weight. The craftsmanship of this expert’s armor was amazing, and I was beyond impressed just by looking at it, and when I actually tried it on I was amazed at how light it felt despite all of the sheet metal making it look heavy for sure. That’s when I realized just how important balance and distribution of weight is when making armor like this. —I understand that the balance of the Shinai changes with the position and thickness of the knot, but what about balance in terms of the armor? Madokoro: “The weight of one’s head takes up a considerable proportion of the human body. When you put on the and if the Men-futon is light, then the will naturally feel heavy and your center of gravity will go forward. So it is important to find the right balance between the Men-futon and Mengane. While a light Mengane and a light Men-futon are good in terms of balance, the downside is that it won’t have any strength. —So I take it that you find it important to provide Kendo equipment that combines safety with practicality. —Where is your company currently manufacturing your products? Madokoro: “Of course there are some things that we order from other manufacturers, and many of our products come from China and Vietnam. However, our original brand products are manufactured mainly in the Philippines. The man who first built the factory that we now use was a famous craftsman who practiced his craft for many years in Japan. —Would you say management was being compromised? Madokoro: “As we had feared, we had actually gone bankrupt. It felt like a lightning bolt from heaven, like a curse for us, as we were just preparing for the Year-End/New Year’s Sale. Of course we were worried about the sales, but we were more worried about the possibility of losing all of our talented and gifted craftsmen at the factory. As soon as we heard that our factory craftsmen had stayed along with their factory manager, our president made immediate plans in cooperation with the plant manager to build a new factory. —That sounds like something out of a drama. It seems like you have a strong bond with your employees as well. Madokoro: “We couldn’t have done it without them. When we were at our worst point there wasn’t a single smile, the air was heavy, and even when hearing the news about our success in opening a new factory, many of our employees were heavy with worry and anxious about the future. —Do other members of your company other than management visit the factory? Madokoro: “We feel that it’s important for our employees to understand the various jobs that employees have throughout the company, so we have them take turns visiting different environments. This way our employees who are selling the products will think more about the craftsmen who make the armor. —I can see how your company is not only united, but also succeeding in selling great reliable products. 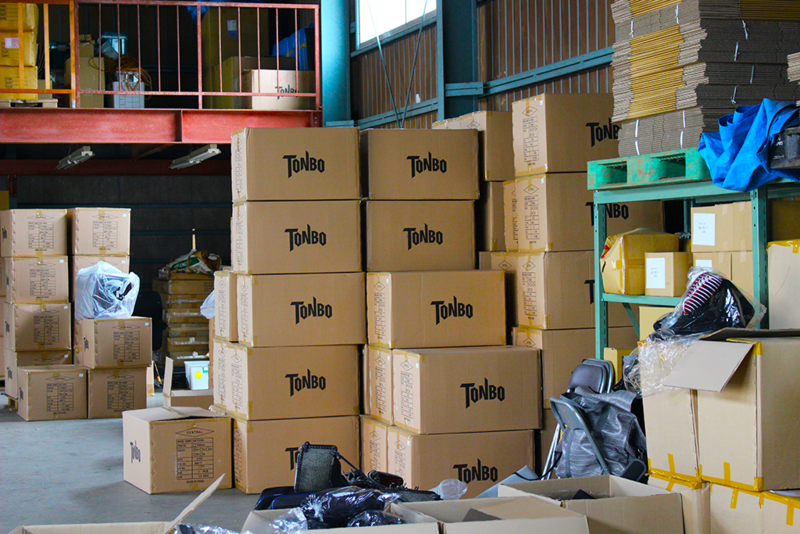 —You have various product lines like the Tonbo Series, BAK Kendo-gu, TONBO Armor and Armor Bags, and BAK underwear. Could you tell us exactly how you came up with the concepts of these product lines? Madokoro: “We can make very elaborate and fancy armor, and it was well-known that our products had very high technical capabilities, but we saw that ease of use was one more step that we could take in improving our gear. That’s when we decided to start our Tonbo series. At the time flashy armor was quite popular, but we started looking into manufacturers that were focusing on the ease of use of martial arts equipment, and we thought that it was these companies that focused on ease of use that would succeed and come out strong in the end. We felt like the era of flashy armor would be short-lived and would decline fast. —Did you actually break apart your Kote? Madokoro: “Yes, I realized that when I start making models of a design, I gradually start to understand how it works. I talked recently with craftsmen who make Kote, and they tell me that it’s impossible to make a good template of Kote if you’re not a craftsman in that field. Despite this I decided to go ahead and try. I tried numerous times and there was a lot of trial and error, sending numerous drafts to the factory. —What aspects were the most difficult? Madokoro: “For example, if we are considering making the Kote smaller, there are other patterns that follow. Whether it be adding more fur inside the Kote, changing the amount of Tenouchi, making the outer head smaller, etc. Figuring out what would change if we tweaked one part of the product was difficult to figure out. —So your goal has basically been to design and create Kote that are easy to use. —It seems as though you’ve applied the knowledge you obtained from manufacturing the Kote into your other products. Everyone was like “...what?” to that jingle, but as I mentioned earlier we felt it was fitting on a light note. It’s all about balance. It’s an armor that can move with little resistance, without stress, and without any unwanted disturbance for the athlete. —I see, it’s very easy to understand! —How did the development of the BAK series come to be? —How long ago was this? Madokoro: “About 6 to 7 years ago. 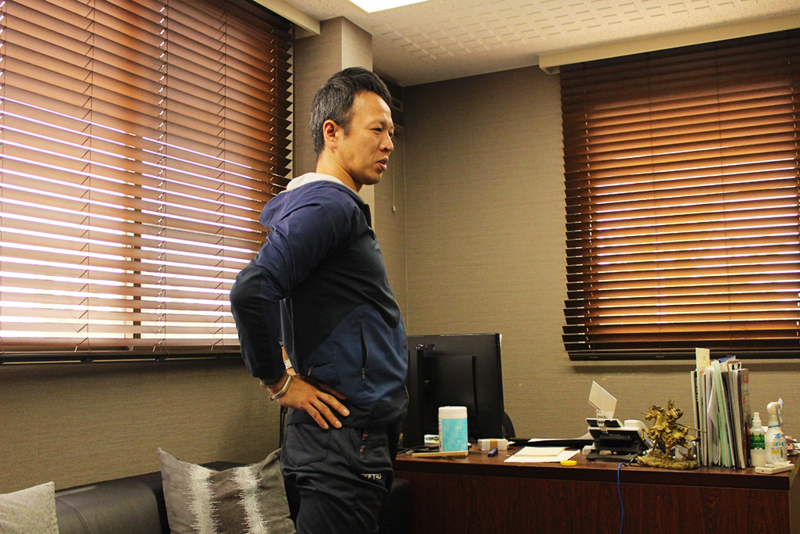 My boss contacted Kentaro Takahashi, who was my superior back in high school, and an associate professor at Kanto Gakuin University, as well as the training coach for the Kendo representative of Japan, about wanting to start up an underwear line. 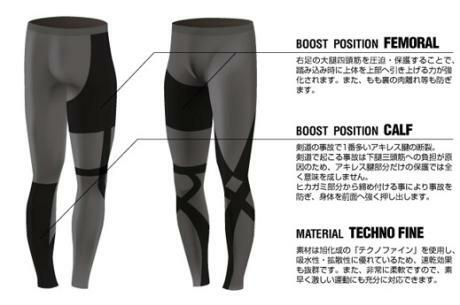 Kendo has a tradition of not wearing any undergarments under the armor, but when we started to consider how more body support could prevent certain injuries, more interest grew in terms of designing underwear that would better support the body. —How would you describe how the average Kendo athlete’s muscles develop? Madokoro: “I would say that Kendo is very different from other sports in terms of muscle development, as Kendo athletes often end up building muscles on their left calves and right thigh. As a result, we designed the BAK series to be purposely asymmetrical in its support design, due to the asymmetrical natures of the sport. We were able to design and create a supporter which allows smooth movement, as the most essential parts of movement for Kendo are reinforced with a power net. On the outerwear we inserted an X-shaped power net on the back area, and when you put it on it feels very natural and form-fitting. The outerwear thereby has the effect of alleviating the fatigue that the spine often carries. —What does he mean, “players that don’t get injured or tired are strong”? Madokoro: “In other words, an athlete who repeats and continues the same performance over and over again is strong, and does not get tired easily; he essentially becomes stronger. Even if the athlete is tired, if you yourself don’t get tired then there is a big gap in power between you and your opponent. Additionally if you get injured you lose a lot of time and opportunity having to rest, and the road to recovery takes a very long time. This is why it is important to preemptively prevent injuries in the first place, before they even have the chance to happen. Mr. Takahashi worked very hard to communicate the importance of this concept to many Kendo specialists. We immediately began to hear a lot of positive results, with many users satisfied with the feeling of security of our product, and many acclaimed how the BAK series prevents fatigue and cramps from continuing through to the next day. With our product, their tiredness from the previous day never lasted the next morning. —If you don’t mind me going back, you mentioned that stores with easier-to-use Kote products will be stronger from now on. Why specifically is it the Kote? Madokoro: “The Kote is definitely where you can feel a significant difference in regards to ease of use. For track and field athletes it would be their spikes (shoes). Therefore while we certainly put a lot of research into the development of the whole armor, we started out with the Kote being our foundational research point. Among these things as well, one thing that I have been particularly interested in researching has been the Tare. I would say that most people aren’t really that interested in the Tare, but my interest in the Tare really grew a lot after I began researching and developing it. —So it supports your waist really well? Madokoro: “Exactly. For example, people who work in grocery stores or fish markets often stand a lot at work, and that’s why they wear those waist aprons. Even when we’re tired, we go like this. We do this because that position is relaxing for the body. Thus by wearing a waist apron, people who stand a lot in their work can continue to stand for a long time because of the support that the waist apron gives. —To be honest, I myself really didn’t care much for Tare. —I see, so the expectations are raised higher. If there’s one last message you would like to give to everyone, what would it be? —It was a pleasure to have the time to talk with you today, and thank you for letting us take some of your precious time today to learn more about your company. Click here to see Eikobudogu’s wide range of products! This entry was posted in Eiko Budogu, Makers Story on 2017年12月25日 by BUSHIZO.